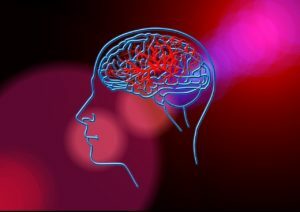 According to American Speech-Language-Hearing Association https://www.asha.org/Articles/Current-Perspectives-on-Traumatic-Brain-Injury/ an approximate 1.5 million Americans survive TBI each year, and approximately 230,000 are hospitalized for the condition. About 50,000 Americans die each year following TBI, representing one third of all injury-related deaths. Leading causes of TBI are falls (28%), motor vehicle accidents (20%), struck by/against events (19%), and assaults (11%). More than 1.1 million patients with mild TBI are treated and released from emergency departments each year. The vast majority (75%–90%) of cases involve mild TBI; these individuals experience few if any ongoing symptoms, and the cases follow a predictable course without requiring special medical treatment. Only a small subset of TBI patients (about 10%) experience any persistent post injury symptoms. Not all individuals exposed to an external force will sustain TBI. Severity of TBI may range from “mild” (a brief change in mental status or consciousness) to “severe” (an extended period of unconsciousness or amnesia after the injury). About 80% of TBI cases are classified as mild, 10% are moderate, and 10% are severe. 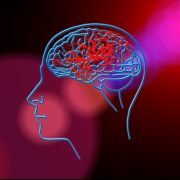 At a minimum, TBI produces a diminished or altered state of consciousness. TBI results in a diverse, idiosyncratic constellation of cognitive, neurological, physical, sensory, and psychosocial symptoms. While no standard definition or diagnostic criteria for mild TBI currently exist, there are well-established diagnostic criteria for stratifying the level of brain injury at the time of the injury. DoD and VA jointly developed a definition based on existing TBI definitions and current clinical experience with blast injuries. This definition has been widely used by the Congress of Rehabilitation Medicine, American Academy of Neurology, Centers for Disease Control and Prevention, and the World Health Organization for more than 10 years and is widely accepted as the “gold standard” for defining mild TBI. It is important to understand that meeting these diagnostic criteria does not predict functional or rehabilitative outcome. The level of injury is based on the status of the patient at the time of injury based on observable signs such as level of consciousness, posttraumatic amnesia, imaging, and coma scaling (see Table 1). Note: AOC=alteration of consciousness/mental state; LOC=loss of consciousness; PTA=posttraumatic amnesia; GCS=Glasgow Coma Scale. For purposes of injury stratification, the Glasgow Coma Scale is measured at or after 24 hours. This stratification does not apply to penetrating brain injuries where the dura mater is breached. Mild TBI or concussion generally involves loss of consciousness that lasts 30 minutes or less, posttraumatic amnesia less than 24 hours, and Glasgow Coma Scale of 13–15. Concussion can be further graded according to loss of consciousness and posttraumatic amnesia (see Table 2). Note: Colorado=Workers Compensation Board, State of Colorado; AAN=American Academy of Neurology; see “Practice Parameter” (1997). Diagnosis of mild TBI can be difficult because of the subjective nature of complaints and significant overlap with other conditions. Focal neurological signs for mild TBI are frequently mild or transient. Imaging is usually negative. The natural history of mild TBI is less predictable than for more severe TBI, but the majority of patients follow a predictable course, experience few, if any, ongoing symptoms, and do not require special medical treatment. Specificity of injury sequelae is less predictable than for more severe forms of TBI, and sequelae often overlap with other noninjury conditions, such as stress disorders. Most of what we know about mild TBI is based on sports injuries and acceleration/deceleration injuries (e.g., motor vehicle accidents). Research is lacking on blast-induced brain injuries. The symptom persistence and long-term implications of blast-related mild TBI and multiple mild TBI are unknown. However, there is no reason to conclude a priori that high-energy blast-related mild TBI has the same pathophysiology and natural history as sports injuries. Because of the uncertainties regarding mild TBI, the focus should not be on diagnosis. Diagnosis, or rather misdiagnosis, can lead to inappropriate treatment. Furthermore, the diagnosis may carry unintended stigma. For example, under current coding rules, a cognitive deficit (e.g., memory problem) resulting from TBI would be coded as a nonpsychiatric mental disorder due to organic brain damage. Many service members and veterans and their families object to this diagnosis because they feel the symptoms are due to a neurological brain injury. For these reasons, the focus should be on recovery and treatment of persistent symptoms using an interdisciplinary approach to care. Mild TBI can be transient in nature, but it can also cause significant disruption in employment, education, and relationships, and it should not be minimized. Audiologists should also note that auditory manifestations of TBI can significantly affect treatment and rehabilitation outcomes and are the reason that audiologists should be part of an interdisciplinary approach to TBI care. There is no single TBI symptom or pattern of symptoms that characterize mild TBI. Symptoms may resolve quickly, within minutes to hours after the injury event, or they may persist longer. Some TBI sequelae may be permanent. Most signs and symptoms will manifest immediately following the event. However, other signs and symptoms may be delayed from days to months. These delayed symptoms are particularly difficult because there may have been significant untreated impact on the patient’s physical, emotional, behavioral, social, or family status. Attributing these delayed symptoms to the injury event can be problematic. Signs and symptoms may occur alone or in varying combinations and may result in a functional impairment. The key factor in attributing these signs and symptoms to TBI is that they are not better explained by preexisting conditions or other medical, neurological, or psychological causes, except in cases of an exacerbation of a preexisting condition. In the case of hearing loss, for example, peripheral hearing loss due to noise exposure needs to be ruled out, and central auditory manifestations of TBI may be due to preexisting conditions. Physical: headache, nausea, vomiting, dizziness, blurred vision, sleep disturbance, weakness, paresis/plegia, sensory loss, spasticity, aphasia, dysphagia, dysarthria, apraxia, balance disorders, disorders of coordination, or seizure disorder. Cognitive: problems with attention, concentration, memory, speed of processing, new learning, planning, reasoning, judgment, executive control, self-awareness, language, or abstract thinking. Behavioral/emotional: depression, anxiety, agitation, irritability, impulsivity, or aggression. Audiologists should note that auditory and vestibular complaints (hearing loss, tinnitus, balance disorders, and central auditory manifestations of TBI) are particularly common. Tinnitus and hearing loss (auditory complaints) are the most common service-related injuries in OEF/OIF veterans. There are also many emotional/behavioral problems associated with TBI, including depression, apathy, anxiety, irritability, anger, paranoia, confusion, frustration, agitation, sleep problems, and mood swings. Problem behaviors may include aggression and violence, impulsivity, acting out, noncompliance, social inappropriateness, emotional outbursts, childish behavior, impaired self-control, impaired self-awareness, inability to take responsibility or accept criticism, and alcohol or drug abuse/addiction. Some patients’ personality problems may be so severe that they are diagnosed with personality disorders. Symptoms associated with PTSD may overlap with symptoms of mild TBI. Differential diagnosis of brain injury and PTSD is required for accurate diagnosis and treatment. Cognitive deficits are also particularly prevalent in TBI and include problems in thinking, reasoning, problem solving, information processing, and memory. The most common cognitive impairment among severely head-injured patients is memory loss. Higher level, executive function deficits include problems in planning, organizing, abstract reasoning, problem solving, and making judgments, and can have a significant impact on quality of life and return to preinjury work activities. Patients with moderate to severe TBI tend to have more problems with cognitive deficits than patients with mild TBI. Many service members and veterans have been exposed to multiple injury events (e.g., repeated blast exposures). These multiple mild TBI events may have an additive effect, causing cognitive deficits equal to more severe degrees of injury. The important message to audiologists is that persistent symptoms such as emotional/behavioral disturbances, attention problems, memory loss, and executive function deficits can have a significant impact on auditory and vestibular evaluation rehabilitation. The ear is the organ most affected by blast. Injuries may include rupture of tympanic membrane (most frequent), dislocations/fractures of the ossicles, or damage to the cochlea. Blast overpressure is too rapid to be compensated by air escape through the eustachian tube. Because the ear is particularly susceptible to blast, damage may be a sign of blast exposure. The extent of ear damage from the blast depends on factors such as size of the blast, distance from the blast, orientation of ear canal to the blast, and the environment (e.g., reflective surfaces or enclosed spaces). Tympanic membrane perforation is the most common otologic injury. The tympanic membrane ruptures during positive phase of the blast and occurs in about 50% of adults at about 175–185 dB peak pressure level (5 PSI) depending on the blast characteristics. Primary blast waves can send small fragments of the squamous epithelium into the middle ear cavity. Therefore, audiologists should be on guard for cholesteatomas. Careful surgical debridement is necessary for removal and close follow-up, as 10%–20% of cholesteatomas recur. If there is a history of eardrum perforation, follow-up is important. Ossicular damage ranges from 4% to 33% of eardrum perforations. The most common ossicular injury is disruption of the incudomalleal joint. Disruption of the ossicles may absorb some of the incoming energy of the blast wave, sparing the structures of the inner ear. Immediately following blast injury, patients may experience hearing loss and tinnitus. Hearing loss may be transient, lasting for minutes to hours, or permanent, with symptoms of tinnitus and hyperacusis. Inner ear damage caused by explosions results from a combination of the blast wave and the following impulse sound. Balance disorders are common symptoms of TBI. These symptoms can be transient or persistent, and should be evaluated in consultation with an otolaryngologist. Head trauma is the most frequent cause of benign paroxysmal positional vertigo (BPPV), and there are also cases of traumatically induced Ménière’s disease. Dizziness from TBI can be caused by injury to the ear, peripheral neuropathies, whiplash, musculoskeletal injuries, vascular disorders, oculomotor disturbances, and diffuse multimodal central nervous system injuries. Eardrum injury secondary to blast exposure can also be accompanied by perilymph fistula, labyrinthine damage, and otolith damage. TBI patients frequently have auditory complaints of difficulty hearing or listening that cannot otherwise be explained by basic audiometric findings. Problems may include difficulties in sound localization and lateralization; auditory discrimination; auditory pattern recognition; temporal aspects of sound (e.g., integration, discrimination, ordering, and masking); auditory performance in competing acoustic signals (including dichotic listening); and auditory performance with degraded acoustic signals (American Speech-Language-Hearing Association [ASHA], 2005b). These TBI-related auditory manifestations may coexist with other disorders such as depression, anxiety, insomnia, hypervigilance, and stress disorders. There is ongoing debate as to the nature of these auditory manifestations, which are sometimes diagnosed as central auditory processing disorders ([C]APD). Broadly defined, (C)APD refers to the efficiency and effectiveness by which the central nervous system utilizes auditory information (ASHA, 2005a). Narrowly defined, (C)APD is a deficit in the processing of information that is specific to the auditory modality (Cacace, 2009; Cacace & McFarland, 1998; Jerger & Musiek, 2000; McFarland & Cacace, 1995). Audiologists should exercise caution in making a diagnosis of (C)APD in TBI cases, especially blast-induced TBI. Most of what we know about (C)APD is based on developmental data, sports injuries, motor vehicle accidents, and discrete lesions. We should not expect a priori that high-energy blast-induced brain injuries or any traumatic injury to the brain will result in auditory-specific lesions. These auditory manifestations could be due to true modality-specific (C)APD, multisensory central processing disorders, or supramodal (attentional) disorders. According to ASHA (2005b, p. 2), “any definition of (C)APD that would require complete modality-specificity as a diagnostic criterion is neurophysiologically untenable; however, one should expect the sensory processing perceptual deficit in (C)APD to be more pronounced, in at least some individuals, when processing acoustic information.” The ASHA working group concluded that (C)APD “is best viewed as a deficit in neural processing of auditory stimuli that may coexist with, but is not the result of, dysfunction in other modalities” (p. 2). Unless we know otherwise, central auditory manifestations of TBI should be not be labeled as (C)APD. However, uncertainty about the diagnosis should NOT delay or prevent evaluation using available auditory, multisensory, and neuropsychological techniques. TBI can cause a range of problems related to the ear, including hearing loss, vestibular effects, and central auditory problems. Hearing loss. Because of the sudden and violent nature of the injury, TBI may cause concurrent damage to the auditory pathway. Damage can occur at any point within auditory pathway, from the outer ear to the cortex, which can result in a variety of complex symptoms. Impairment due to trauma can produce conductive and sensorineural hearing loss, central auditory processing deficits, vestibular impairments, and tinnitus. The tympanic membrane, middle ear, and cochlea are the most common sites of peripheral injury as they are often directly in the line of trauma. Disruption of the oval and the round window can occur, as can displacement of the basilar membrane. The hair cells are the most vulnerable elements of the cochlea and, when damaged, can produce sensorineural hearing loss and tinnitus. Clinical and experimental studies have shown that there are numerous sites of pathology ranging from TM perforation, ossicular discontinuity, degeneration of the organ of corti, and ischemia of the 8th cranial nerve. Vestibular effects. Dizziness is thought to occur in 40-60% of individuals with traumatic brain injury. It is usually of peripheral as opposed to central origin. Most common causes include labyrinthine concussion or benign postural positional vertigo (BPPV), which is due to the dislodgement of calcium carbonate crystals from sensitive nerve endings at the macula of the utricle. Less common causes of labyrinthine injury include perilymphatic fistula resulting from the rupturing of the oval or round window membrane. Symptoms may include vertigo, tinnitus, hearing loss, chronic nausea, and exertion headache. Central effects. The effects of damage to the central auditory system have not been systematically examined in humans, but animal studies have revealed much about the architecture of the system. The shearing or the stretching forces from trauma can disrupt the parallel organization of the brainstem and reduce the ability to localize sound or to make the minute frequency and temporal distinctions in the presence of competing stimuli. This reduction in binaural processing can undermine the ability of the auditory system to distinguish between multiple sound sources or to maintain speech recognition ability in the presence of back ground noise. In summary, the most common otological complaints immediately following head trauma are otalgia, tinnitus, aural fullness, dizziness, loudness sensitivity, distorted hearing, and hearing impairment. Hearing loss may improve following the period of traumatic exposure, but in other cases it may persist or progress. The underlying symptoms of vestibular, peripheral, and central auditory damage can overlap those of other conditions such as post-traumatic stress disorder (PTSD), concussion, and mild TBI. These deficits are particularly challenging in the TBI population, as symptoms can be mistaken for PTSD, mental health issues, and cognitive deficits. Patients with TBI present a distinctive and challenging population for the hearing healthcare practitioner. In addition to hearing loss, patients endure years of disability, as TBI often prevents a return to work, disrupts family relations, and causes increased social isolation, mood disorders, and even suicide. The variety of symptoms associated with the condition can include headaches, seizures, motor disturbances, and insomnia, as well as changes in cognition, memory, and speech. The treatment and rehabilitation of auditory and vestibular injury associated with TBI will require a collaborative approach between otolaryngology, audiology, speech-language pathology, neuropsychology, mental health, and physical and occupational therapy. Audiologists and allied professionals should be prepared to modify treatment protocols, incorporate new disciplines in the treatment process, and work in consultation with allied health professionals. 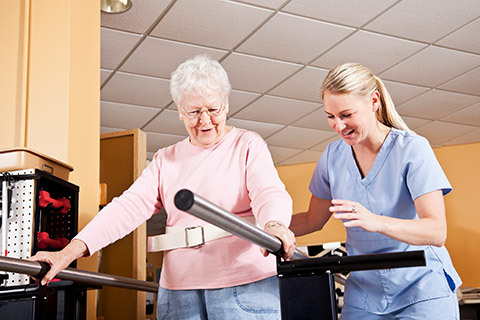 Those patients with cognitive impairments will require additional time and attention in order to maximize the benefits of rehabilitation. Behavioral issues are also common in patients with TBI, and TBI can precipitate problems that require treatments involving emotional management and impulse control. Mood disorders and psychiatric disturbances are common after traumatic brain injury and may include depression, anxiety, bipolar, psychosis, obsessive-compulsive disorder, and PTSD. In such cases, referral for psychotherapy and medical management would certainly be indicated, as the majority of these patients will benefit from a combined multidisciplinary approach. Tun C, Hogan A, Fitzharris K. Hearing and vestibular dysfunction caused by blast injuries and traumatic Brain Injuries. Hear Jour. 2009:62(11):24-26. Bigler ED. Traumatic Brain Injury: Mechanisms of Damage, Assessment, Intervention, and Outcome. Austin, Tex: Pro-Ed;1990:13-20. Koshimori Y, Johns K, Green R. A guide for hearing healthcare providers to characteristics of traumatic brain injury. Hear Jour. 2009: 62(11):17-23. Ylvisaker M, Turkstra LS, Coelho C. Behavioral and social interventions for individuals with traumatic brain injury: A summary of the research with clinical applications. Sem Speech Lang. 2005;26(4):256-267. Khan F, Baguley IJ, Cameron D, Rehabilitation after traumatic brain injury. Rehab Med. 2003;178(17): 290-295. Fausti SA. Auditory and Vestibular Dysfunction Associated with Blast-Related Truamatic Brain Injury. J Rehab Res Devel. 2009;46(6):800-809. Kushner D, Mild traumatic brain injury: Toward understanding manifestations and treatment. Archi Intern Med. 1998;158(15):1617-1624. Oleksiak M, Smith BM, St Andre JR, Caughlan CM, Steiner M. Audiological issues and hearing loss among veterans with mild traumatic brain injury. J Rehab Res Devel. 2012;49(7):995-1004. Lew HL, Jerger JF, Guillory SB, Henry JA. Auditory dysfunction in traumatic brain injury. J Rehab Res Devel. 2007;44(7):921-928. Scherer M, Schubert MC. Traumatic brain injury and vestibular pathology as a comorbidity after blast exposure. Phys Therapy. 2009;89(9):980-992. Luethcke CA, Bryan CJ, Morrow CE, Isler WC. Comparison of concussive symptoms, cognitive performance, and psychological symptoms between acute blast versus nonblast-induced traumatic brain injury. J Intl Neuropsychol Soc. 2011;17:36-45. Myers PJ, Wilmington DJ, Gallun FJ, Henry JA, Fausti SA. Hearing impairment and traumatic brain injury among soldiers: Special considerations for the audiologist. Sem Hearing. 2009;30(1):5-22. American Speech-Language-Hearing Association.(2005a). (Central) auditory processing disorders [Technical report]. Available from www.asha.org/policy. American Speech-Language-Hearing Association.(2005b). (Central) auditory processing disorders-the role of the audiologist [Position statement]. Available from www.asha.org/policy. Cacace, A.T.(2009, March). Repercussions of blast-related traumatic injury on peripheral and central auditory function . Paper presented at Joint Defense/Veterans Audiology Conference, Mesa, AZ. Cacace, A.T., & McFarland, D.J.(1998). Central auditory processing disorder in school-aged children: A critical review. Journal of Speech, Language, and Hearing Research, 41, 355–373. Cantu, R.C.(1992). Cerebral concussion in sport: Management and prevention. Sports Medicine, 14, 64–74. Department of Veterans Affairs Office of Quality and Performance and Department of Defense Quality Management Directorate, U.S. Army Medical Command.(2009). VA/DoD clinical practice guidelines for management of concussion/mild traumatic brain injury . Retrieved on June 8, 2009, from www.healthquality.va.gov/mtbi/concussion_mtbi_full_1_0.pdf [PDF]. Hall, J.W. (2009, January). TBI and auditory processing disorder (APD) . Paper presented at Effective Practice of Audiology and Speech-Language Pathology for Traumatic Brain Injury (TBI) Conference, Washington, DC. Jerger, J., & Musiek, F.(2000). Report of the consensus conference on the diagnosis of auditory processing disorders in school-aged children. Journal of the American Academy of Audiology, 11, 467–474. Practice parameter: The management of concussion in sports (summary statement).Report of the Quality Standards Subcommittee. (1997). Neurology, 48, 581–585.